Download the free SportsEngine app on your iPhone or Android. Any teams for which you are on the roster will automatically appear in the My Teams tab. Teams that you want to follow will appear in the Following tab after you add them. 1. 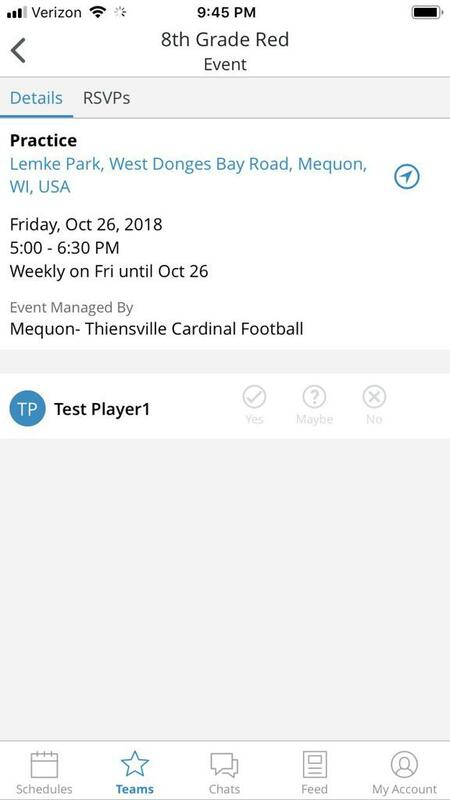 Tap to open the SportsEngine app on your device. 2. Login with your SportsEngine username and password. 4. You can access all of the team functionality within the team’s home screen. 1. Tap the Messages icon from the team home screen. A list of all received messages appears. 2. Tap the “+” to create a new message. 3. In the To field, type the names or select All team. 4. Enter subject text and then start typing your message. When completed, tap Send. 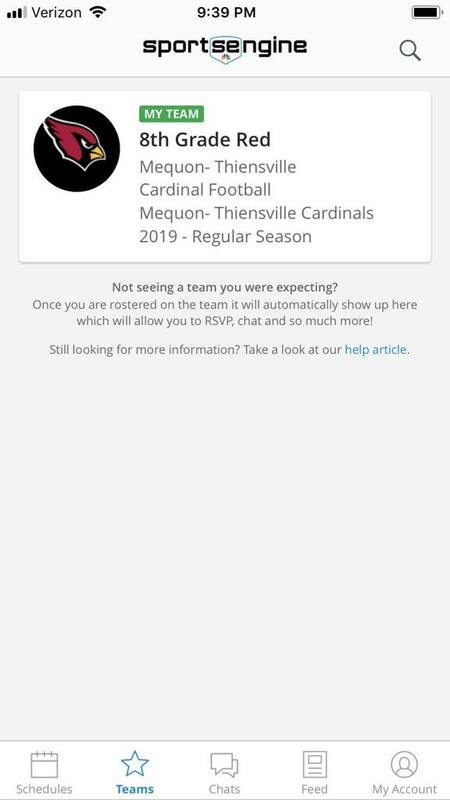 ©2019 Mequon- Thiensville Cardinal Football / SportsEngine. All Rights Reserved.